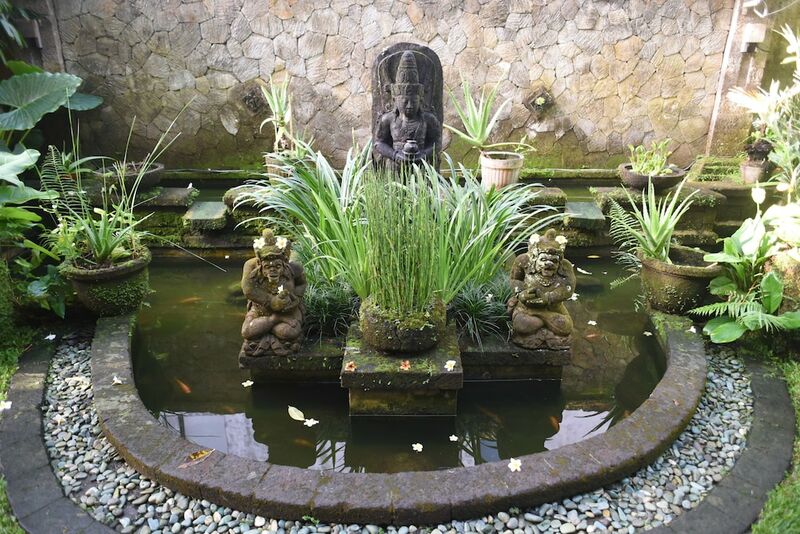 Overlooking the scenic Campuhan Valley and expansive rice fields, Pertiwi Bisma-1 Hotel lies on Jalan Bisma and is close to the famous Sacred Monkey Forest Sanctuary and Museum Puri Lukisan. 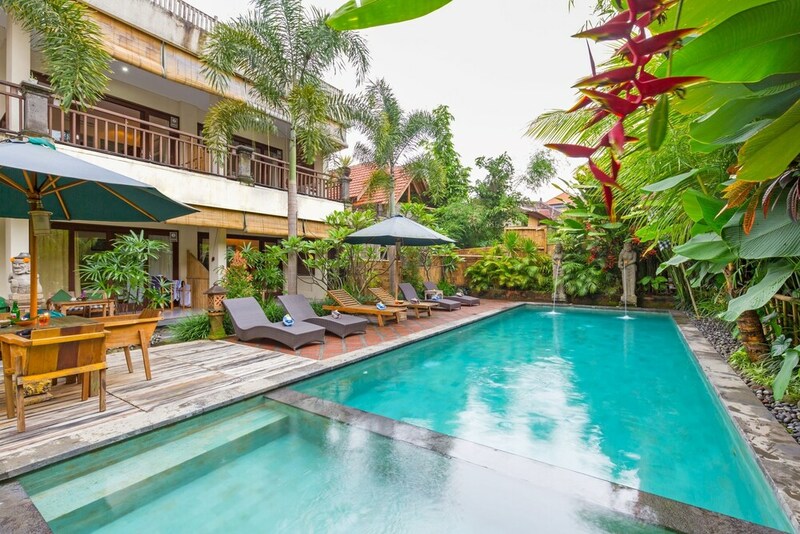 The property is about a 50-minute drive from Ngurah Rai International Airport. It offers a well-equipped meeting room for corporate guests to carry out their official work. Feel refreshed in the swimming pools or spend some quiet time roaming around in the tropical garden within the premises. After a tiring day, guests can rejuvenate their mind and body at the spa of the hotel. 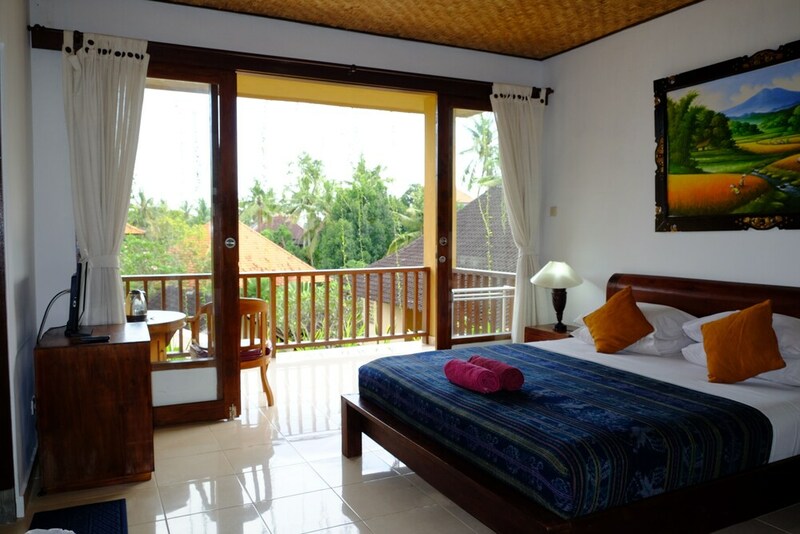 Besides, conveniences like medical aid, and free parking and Wi-Fi ensure a more comfortable stay. 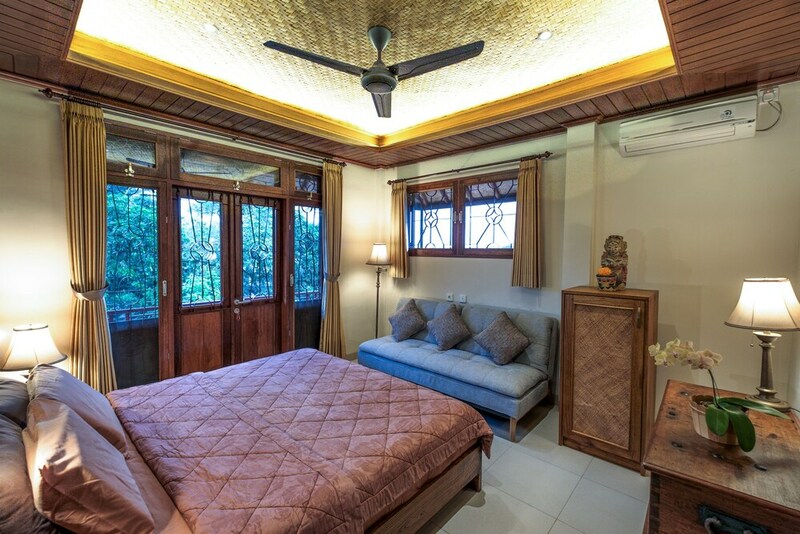 Featuring a private balcony and floor-to-ceiling windows, the 35 spacious and comfortable guestrooms are classified into Super Deluxe, One Bedroom Valley Villa and One Bedroom Valley Suite categories. 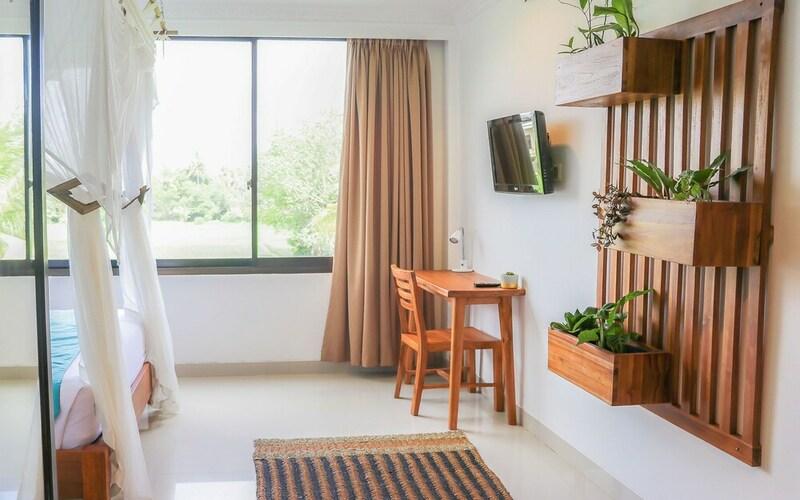 Common amenities like satellite TV, work desk, tea/coffee maker and mini bar are available here. A deluxe shower room with premium toiletries adds to the comfort of guests. Savour a fine selection of Indonesian, European and Pan Asian specialities, served at the beautiful Kinara Restaurant on site. Guests can relax and enjoy their meals in the comfort of their private space by availing room service. Relish authentic dishes at Sitara Indian Restaurant, just 5 minutes drive from here. 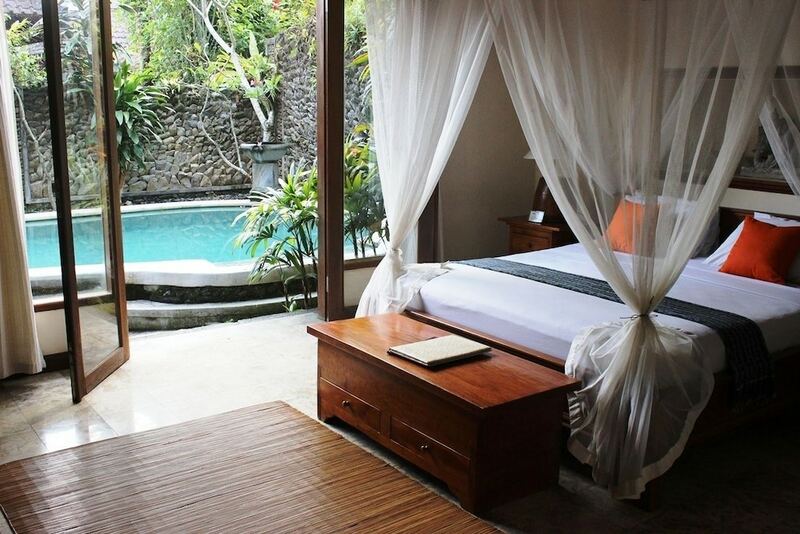 Plan an exciting day of shopping at Ubud Market, just 3 minutes from Pertiwi Bisma-1 Hotel.